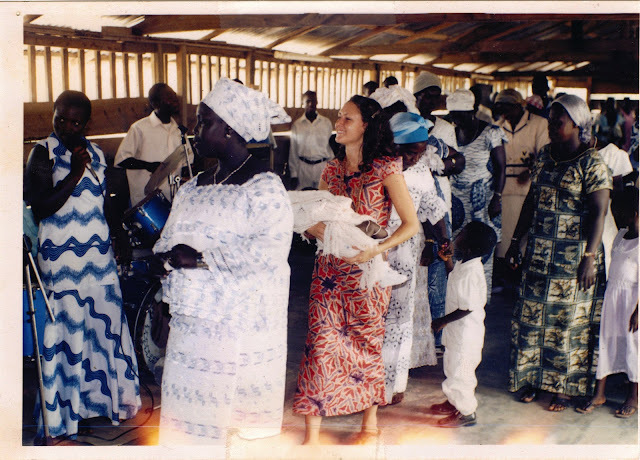 Baby naming ceremony in my village during my Peace Corps service. I'm holding my best friend's newborn in my arms. My best friend is just in front of me, in white. Public Health is my passion, my absolute passion. In general, most topics surrounding Public Health get my heart pounding hard. It's intense. It's politically charged, always. I love it. I can say this with confidence. It took me a long time to get this page up, mostly because I use this blog as a sort of escape from how intense working in this field can be. You can read a little bit about that here. You will however, see some of my strong opinions shine through every now and then. The story on me and this passion started when I joined the PeaceCorps. I joined with a pre-med degree, thinking I would put off medical school for a few years, put off taking the MCAT (see how serious I was? ), and put off getting any type of real job (since I worked 2 through my undergraduate days and was burned out). I joined straight out of undergrad (which may or may not have been a good decision) and was assigned to teach science in Ghana. I'll never forget getting my acceptance letter. I had just come from the mailroom at PBA and was standing in the middle of Rinker green (just a nice visual for those of you who know where both of those are). I was pumped! Pumped to be going to Africa (anywhere in Africa was my first choice) and stoked I was teaching high school Biology and Physics. Finally I could put my pre-med degree to some use! So long story short (you can read the long story here), I winded up working on a few small public health projects while I was in the Peace Corps, returned to the USA, traveled some more, pursued my Masters in Public Health (MPH) in Global Health Practice, and moved to the Dominican Republic to complete my thesis (on water and sanitation). While pursuing my Masters in public health, I was afforded the opportunity to travel to Panama and also to Niger to work with a research team on breastfeeding practices. 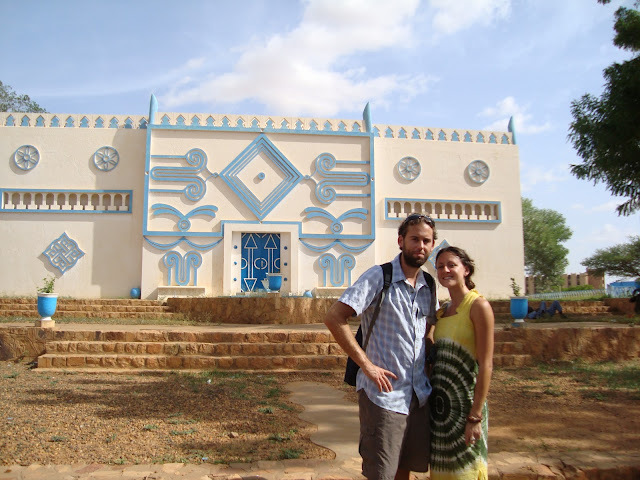 I winded up backpacking with my (now) husband through Niger, Benin, Togo, and Ghana- which was one of the most intense trips of my life! I've worked several jobs in the last 10 years, loving each one more than the last. Most recently, I left my job as an Epidemiologist with the state of Florida (you can read more about that job here). I can tell you, I was devastated to leave. I absolutely loved that job- everything about it. I learned an incredible amount and loved the work I did. I miss it, but full steam ahead. If you've read through my blog, you know I've just moved back from Malawi and earlier this year from living abroad in Australia with my love. This Florida-girl is now braving the cold in the great state of Wisconsin (as a resident). And I mean cold. I was sweatered up in June this year. I am currently working as an advisor for two public health non-profits and have recently returned from working in a malnutrition clinic in Central Africa. You can read more on my time I spent in the field here, my typical morning commute, and how I coped with loving my husband from a (far) distance. First visit to Africa in 2004. Traveled here with a student group and worked in a Peace Corps volunteer's village to build an aqueduct. At the cultural center. This photo taken just before we left for our backpacking trip. Here with A Mother's Wish Foundation. Started a water and sanitation project with a local ceramic water filter organization Potter's for Peace for my thesis.